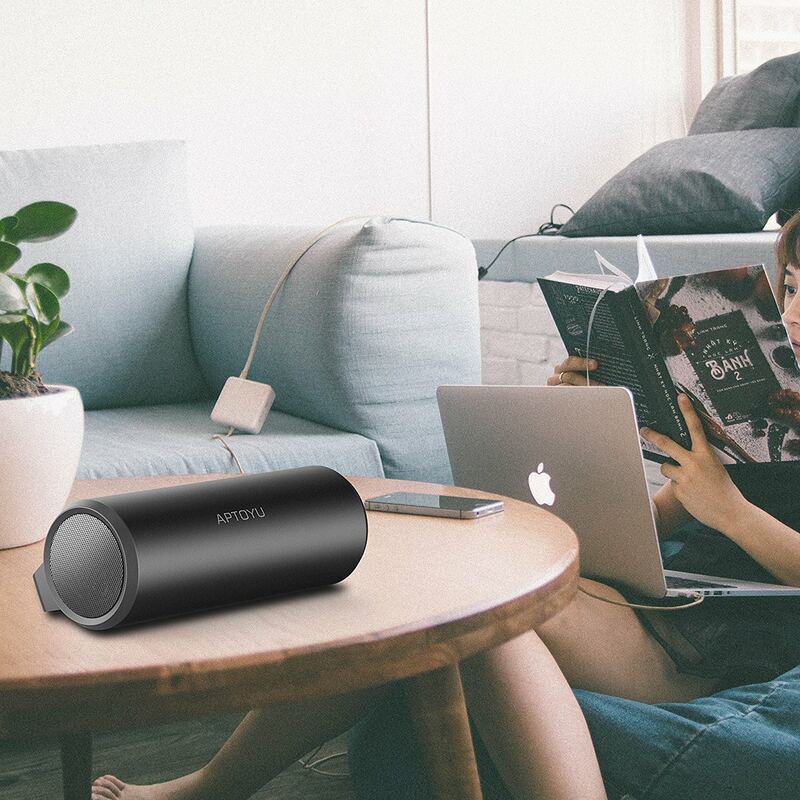 Aptoyu’s Bluetooth Speaker not only offers 24-hour playtime on a full charge, but a built-in microphone for phone calls too, all for $9.89 with coupon code: N5AAKWNX, today only, originally $27.99. 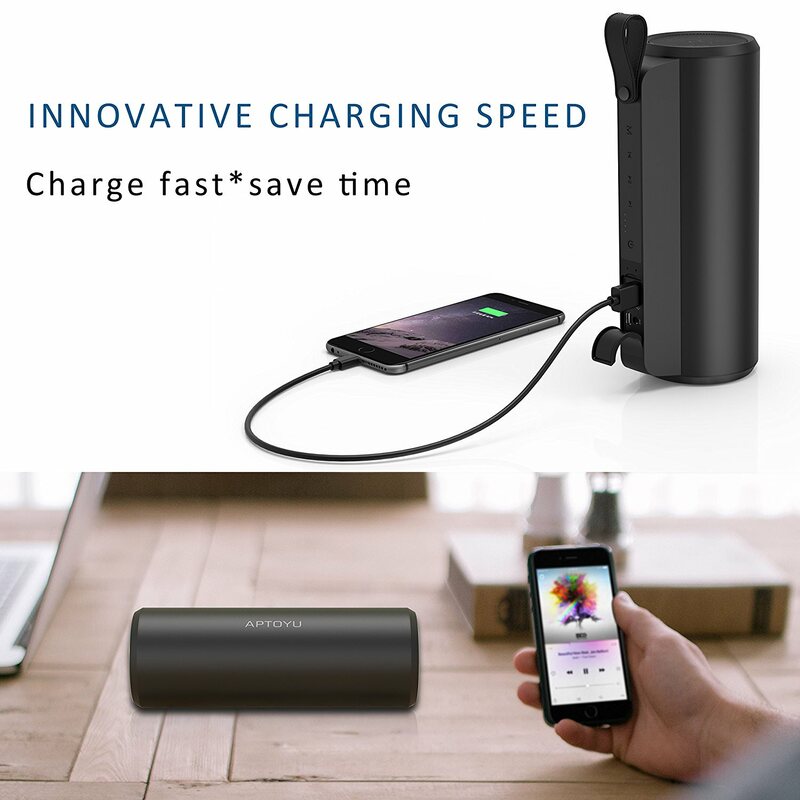 The Bluetooth range is approximately 33-feet, and the device is compatible with smartphones, computers, tablets and more. Dual high-performance drivers and extremely low harmonic distortion ensure enhanced clarity and fidelity regardless of what’s being played. Product page – be sure to enter coupon code: N5AAKWNX during final checkout to receive the additional discount. Continue reading for another hands-on video, more pictures and information. “This little speaker was bigger than expected, it has a storage bag to keep it in. It is way louder than a $100 Braven speaker we have. We have a Can am and driving down the dirt road we could still hear the music playing. Which is nice to have the option to do so. 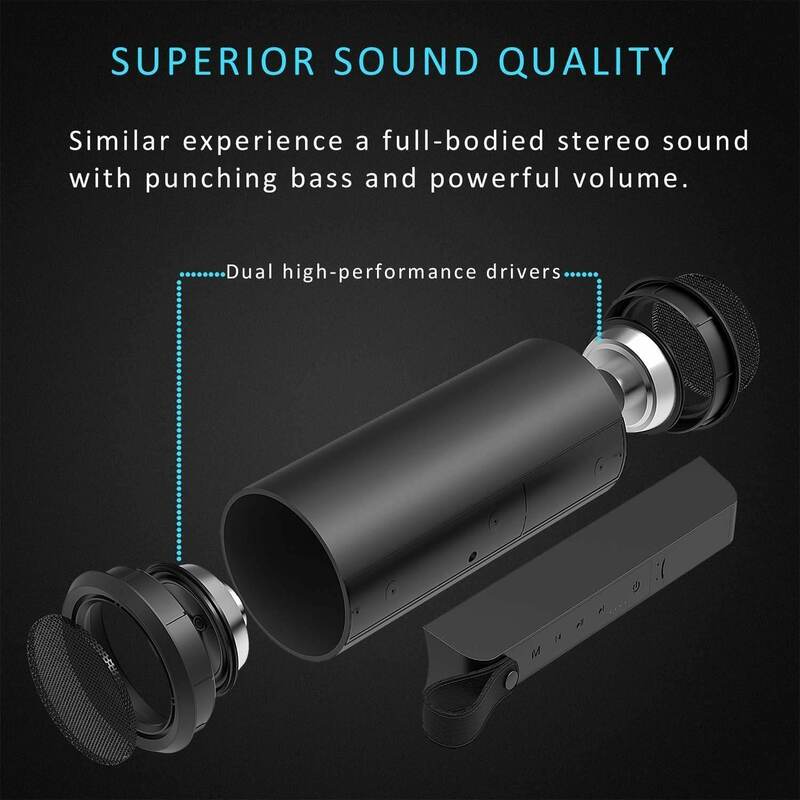 The range kind of cut off at approximately 25ft or soo it started to get a little static but moving back near the speaker it picked up just fine,” said one reviewer. More information.